I am at one with nature, riding the beautiful rhythms of the universe. 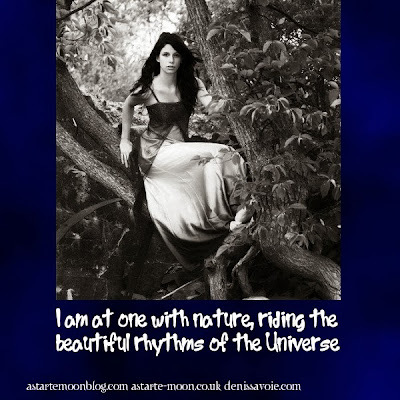 We can all learn more by being in touch with nature and following her natural rhythms. You only need to spend some time in the company of trees to remember the riches nature has to give to us. "You only need to spend some time in the company of trees to remember the riches nature has to give to us" - Yes, there is so much that they can teach us. At the moment, although it is autumn, the oaks are experiencing lammas growth. Just when everybody assumes things are 'shutting down' and dying back, there is growth. I find that so incredibly wonderful and powerful. Beautiful and another fantastic quote! So meaningful!